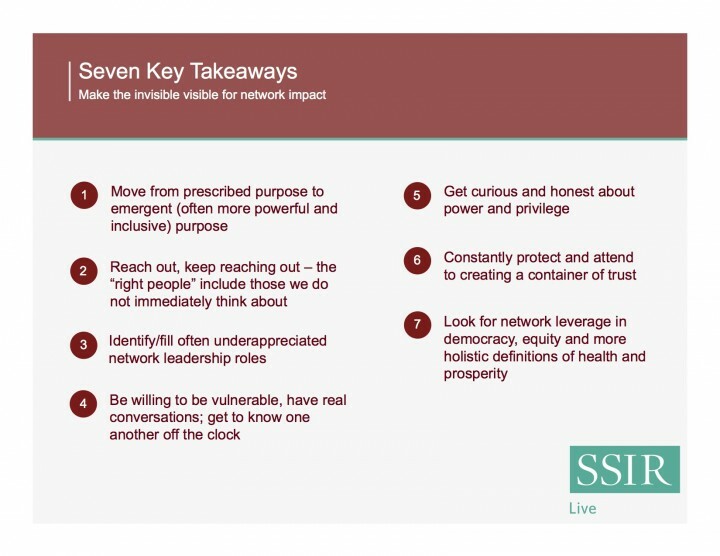 A couple of weeks ago I was a participant in a SSIR webinar on network leadership. I spent my air time talking about Food Solutions New England as an example of a social change network that has been leveraging authenticity, generosity and trust to address issues of racial inequity in the food system. In telling the story, I realized that much of it amounts to a gradual process of shedding layers and “making the invisible visible.” Specifically, it has been about making visible power and privilege, connection and disconnection, tacit knowledge and diverse ways of knowing, and complex system dynamics. As a result, many in the network sense we are now in a better position to build from what we have in common, and that it is more likely that the vision of a vibrant, equitable and eco-logical food system will be realized. On the way to this point (and there are clearly many miles to go and no guarantees) we have discovered the power of emergent and more deeply shared purpose, especially compared with the initial purpose as framed by a smaller subset of the larger system with a relatively limited understanding of what is actually going on. 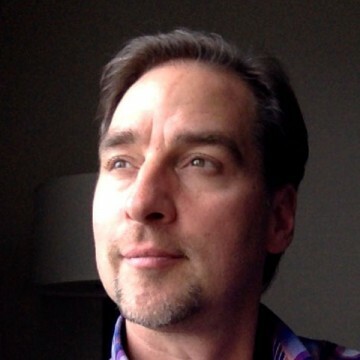 Through dialogue and inclusion of a diversity of voices, people have come to understand more about what they didn’t understand or fully appreciate at the outset, including how and the extent to which privilege, injustice, oligarchy and potentially catastrophic extractive goals are baked into the current system. 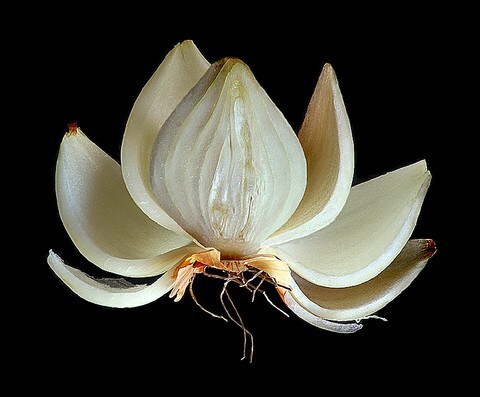 Therefore, this effort is no longer about changing the existing system, as entrenched as it is, but further developing the just, ecological and democratic alternative. In addition people have developed an appreciation for the fact that stakeholder outreach and engagement is never complete. As understanding and purpose evolve, so do the implications for whom must be engaged for the effort to be successful. Furthermore, there is a growing appreciation that there is a need to “design for and from the margins,” with those most estranged from and hurt by the current system. 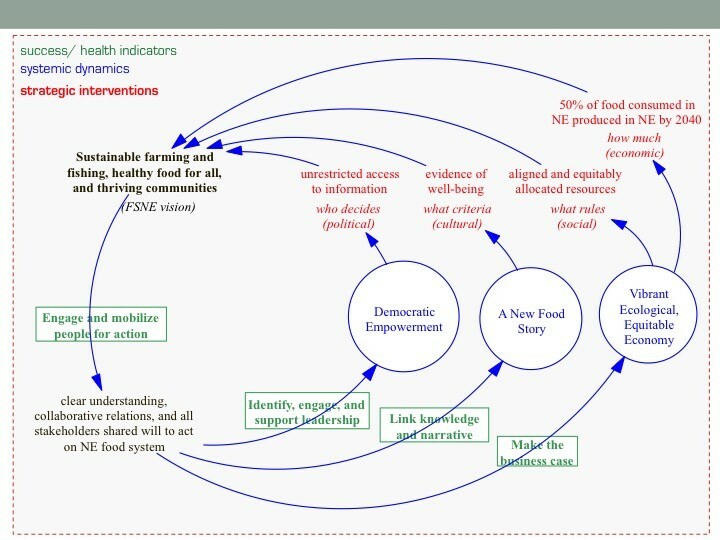 This then has implications for the engagement processes and functional capacities required to design and curate for/with, coordinate and/or support activity among, weave and facilitate diverse actors. 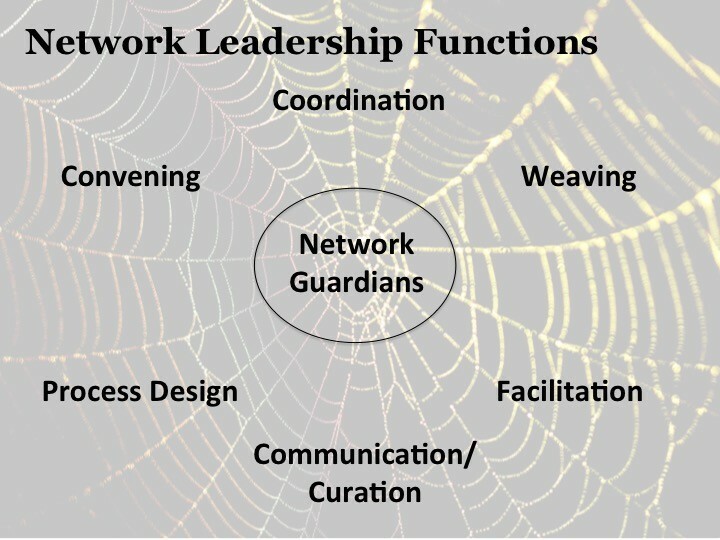 As we have discovered, the importance and requirements of network leadership can often be underestimated. This feels like the growing edge of this work, that no doubt will take us to other discoveries about who we are and must be if we are serious about our vision.